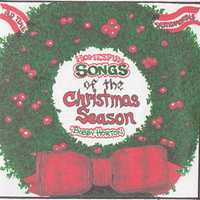 The Christmas season has always been a special time for Americans and music is a key element in holiday celebrations. The purpose of the recording is to present instrumental arrangements of Christmas carols and seasonal tunes as they would have been played in parlors, meeting halls, churches, and around campfires during The War Between the States and throughout the 19th century. Many of the instruments heard in these cuts were built in 1800’s. You will most likely recognize most of these melodies as many are still beloved today. Like each of my other recordings, I created these arrangements, played the instruments, did the liner notes and cover art by hand, and recorded here in my home production studio (in 1989 on a Fostex 8 track analogue recorder) – hence the "Homespun" in the title.